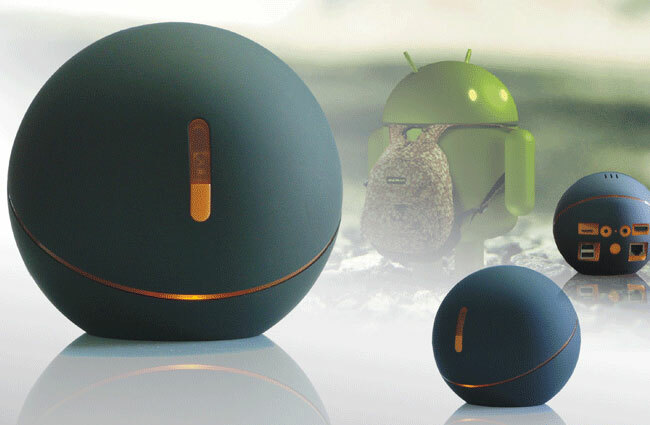 Giayee the Chinese manufacturer has this week launched their new Giayee Android TV Box, which is styled along similar lines to Google Nexus Q set-top box which was unveiled back in June of last year. The Giayee Android TV Box is equipped with a Rockchip RK3066 ARM Cortex-A9 dual-core processor, supported by 1GB of RAM. Graphics on the Giayee Android TV Box are processed by an ARM Mali 400 quad-core graphics chip and the devices is also equipped with 802.11n WiFi, and comes supplied with an infrared receiver for the remote control. The Giayee Android TV Box is also fitted with 8GB of internal memory and has 2 x USB ports, microSD card slot and Ethernet port, and comes running Google’s latest Android 4.1 Jelly Bean operating system. Unfortunately no information on pricing or worldwide availability has been released as yet, but as soon as information comes to light we will keep you updated as always. More information is available from the Giayee website.